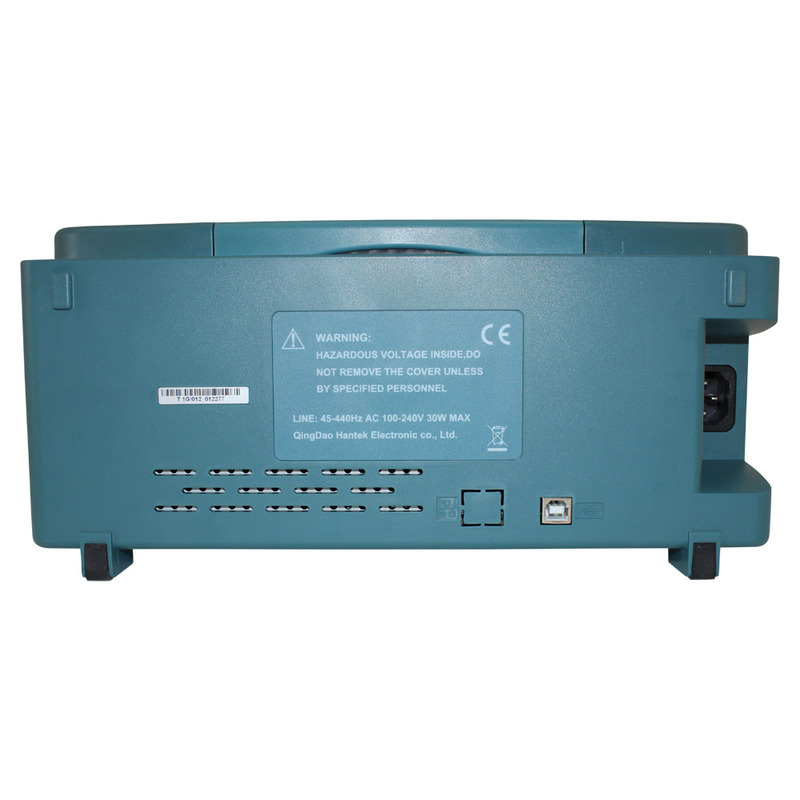 Circuit Specialists is able to offer the powerful Hantek DSO5202BM at a great price. Remember, all of our Hantek products are shipped and supported from the United States. The Hantek DSO5202BM (The 5202BM is identical to the Hantek DSO5202B except the -BM model has a memory depth of 2M.) 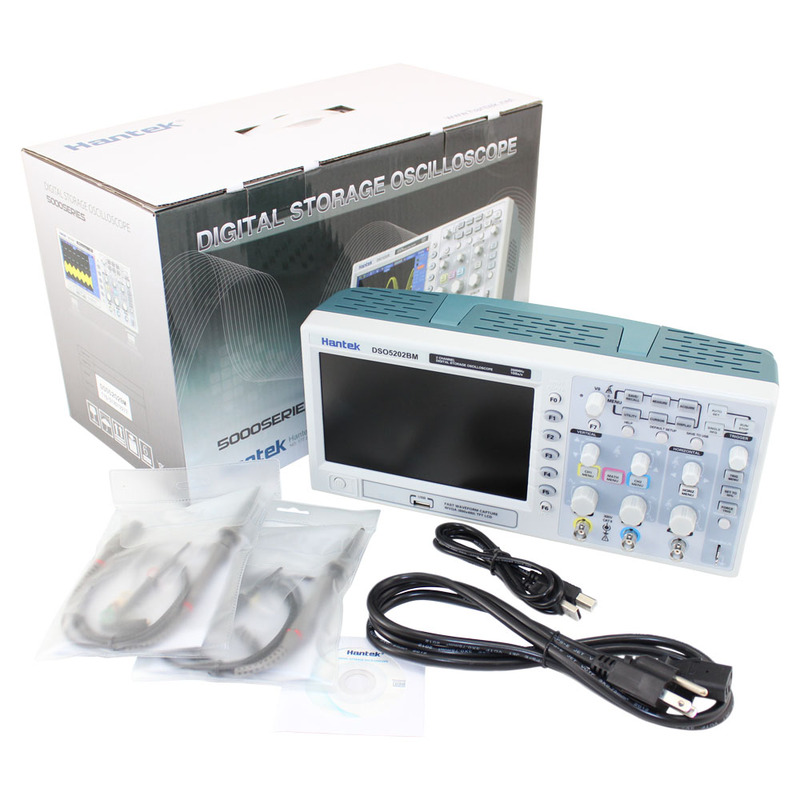 digital storage oscilloscope features a 200MHz bandwidth, 1 GSa/s real-time sampling rate, and 2M of memory depth for top performance when observing detailed waveforms. 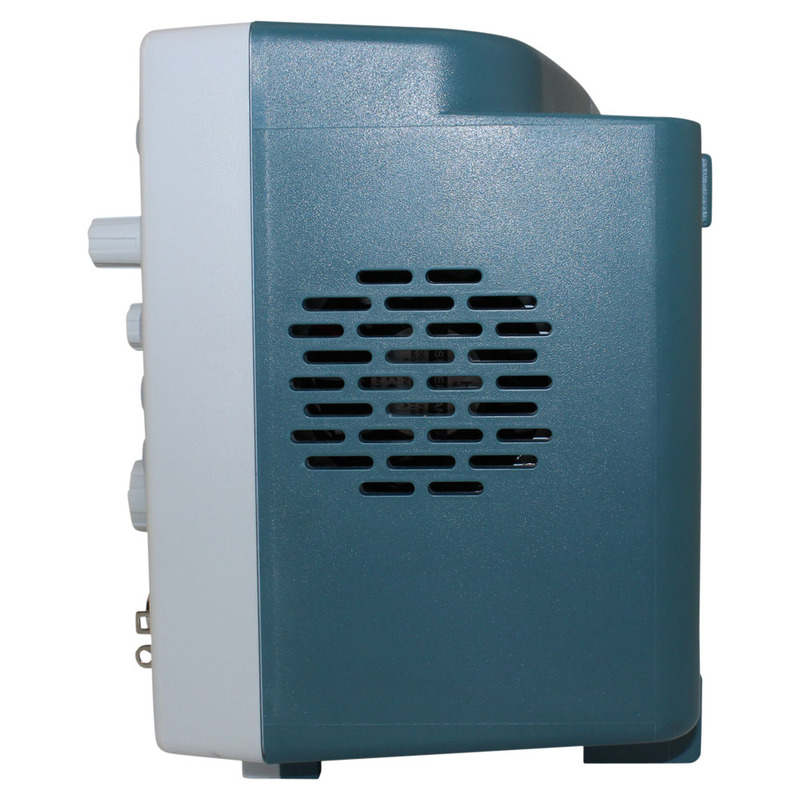 Other Hantek models have as little as 40K of onboard memory, so for deep analysis of input signals, this is your model. The DSO5202BM is a true step up from most oscilloscopes in this price range. In addition to its huge memory capacity, this model has a 7" color TFT LCD with Windows-style interface and menus for ease of operation. The DSO5202BM's abundant, detailed menu information and easy-to-use buttons give you plenty of flexibility and measurement information. 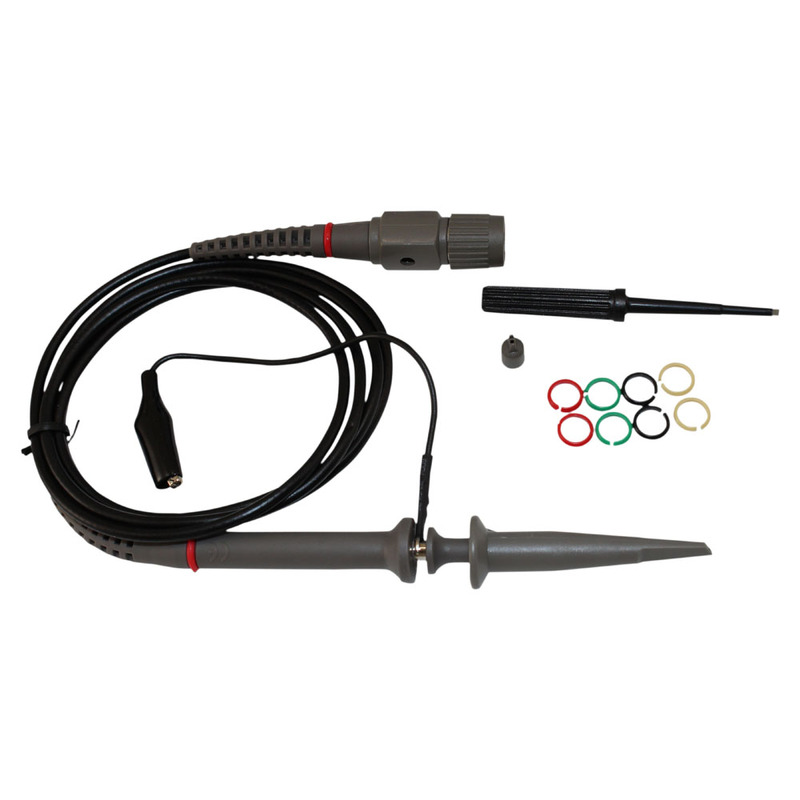 Additionally, the multifunctional knobs and powerful shortcut keys help save time during operation and measurement. For example, the autoset function lets you detect sine and square waves automatically, while the probe check wizard guides you through adjusting the probe compensation and setting the probe attenuation factor. Like all Hantek DSO's, the DSO5202BM provides three help methods (context-sensitive, hyperlinks, and an index) so you can customize the extensive on-board documentation and quickly master all functions of the DSO5202BM. This will certainly improve your efficiency in production, development and measurement. Beyond ease of use, the 5202BM is packed with ample functionality including four built in math functions, including Fast Fourier transform (FFT); software for real-time analysis via PC; USB host and device connectivity; and multiple trigger modes: edge/pulse, width/line selectable, video/slop/overtime, etc. 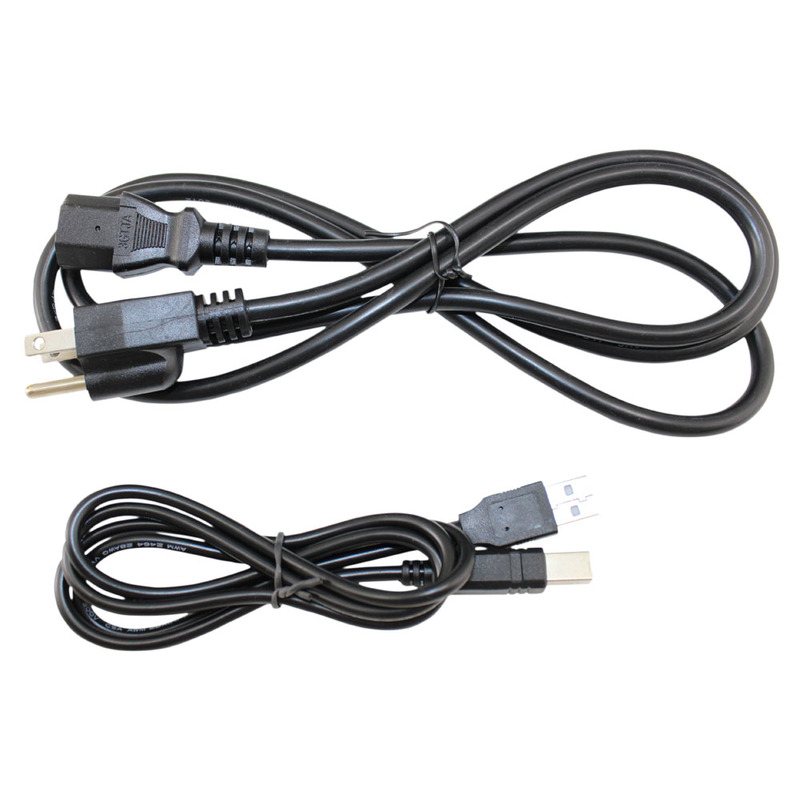 Includes two oscilloscope probes, USB cable, and power cord. 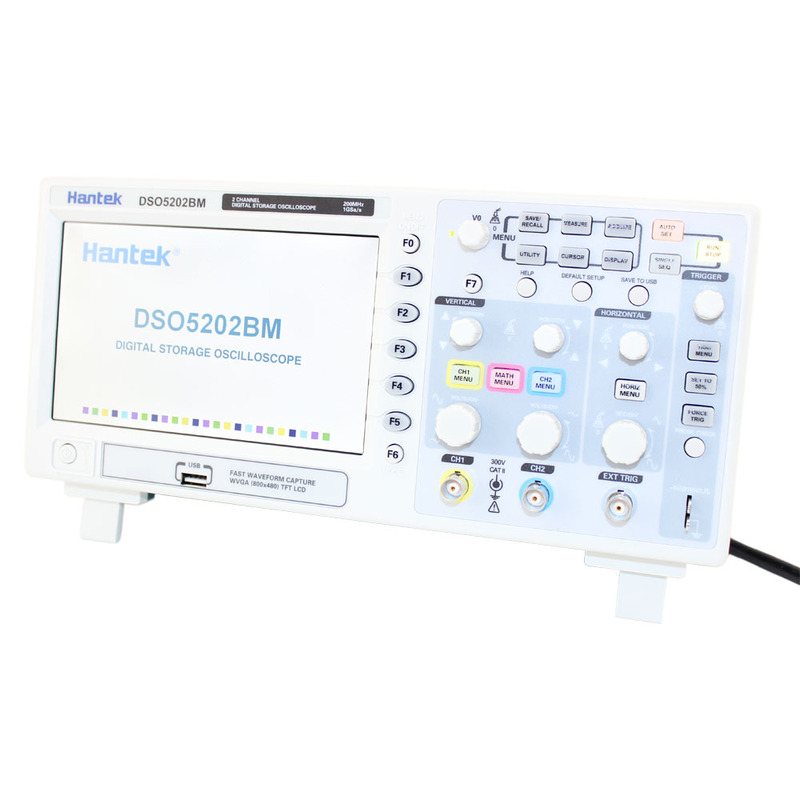 For more information, refer to the Hantek DSO5202BM Digital Oscilloscope Owners Manual. Here you can download an ISO version of the Hantek DSO5202BM Oscilloscope Software CD. 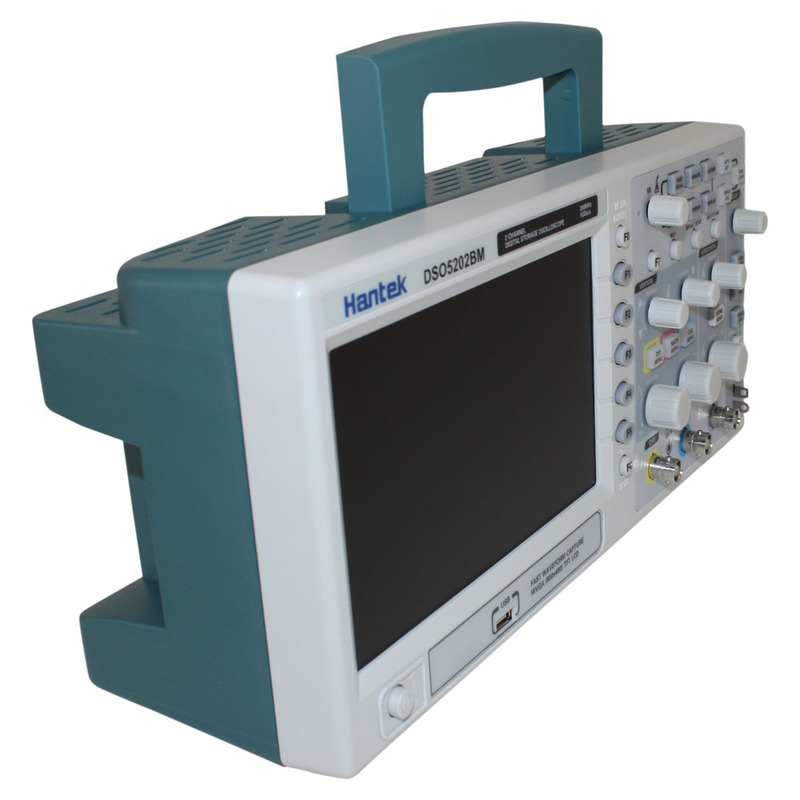 This is the Hantek Oscilloscope's 3 Year Warranty. 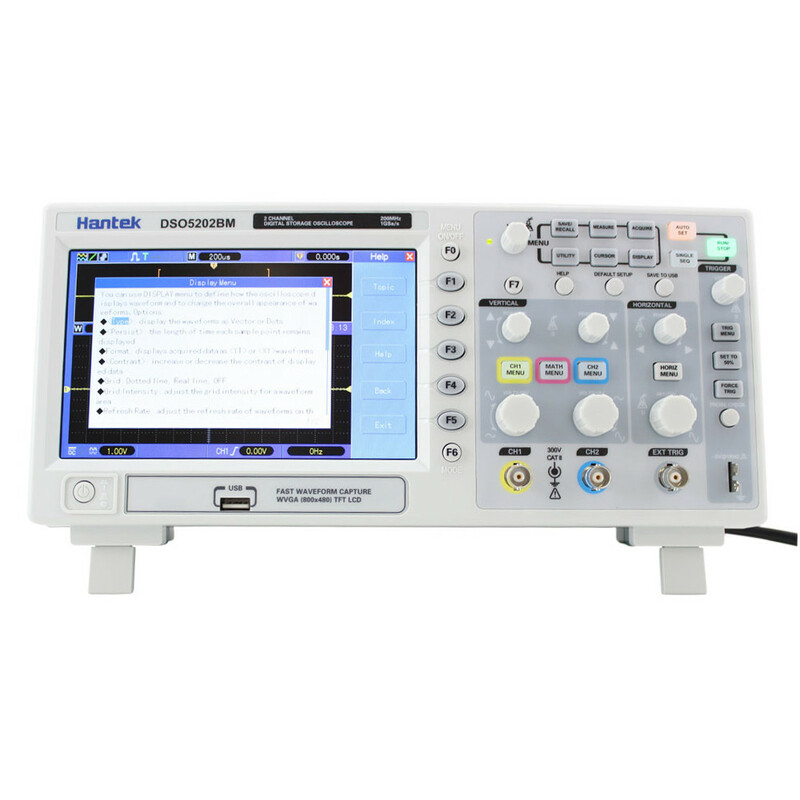 Check the CS blog for a customer's Review of the Hantek DSO5202BM Digital Oscilloscope.